Escrow, or an escrow company, is a neutral third party that acts as a clearinghouse for the finances involved in a home purchase / home sale. The escrow company is in charge of making sure that the funds involved in the transaction are distributed correctly. This involves a series of duties such as ordering a title report and title insurance, reviewing loan documents, arranging an appointment for you to sign your loan documents and working with your lender to ensure all of the loan documents are returned. Then when all of the loan conditions have been approved by your lender, and your lender funds the loan, escrow ensures that all of the funds are disbursed to the proper participants in the transaction. 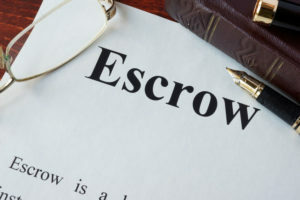 Base Fees for escrow services vary and are typically based on the sales price – can run anywhere from $600 to $2,000 or more, again depending upon the size of the transaction and responsibilities to be performed.